Oregon, meet Virginia… Long distance relationships start in the most uncanny ways. Trying to build a private investigator’s business after resigning from the police force, Rainie Connor moves across the country to find a home in Portland, Oregon. Her business isn’t hopping and she won’t admit she’s lonely in her old hometown. Quincy won’t forget Rainie, and now he needs her help. Quincy’s daughter died after injuries from a questionable car accident. The accident ruled as a driver at fault, needs more investigation as a homicide is suspected. Here’s Quincy’s chance to approach Rainie, hire her, and find out if there are any sparks left to ignite the fire he still feels for her. There’s one catch, though. The suspected murderer is after Quincy’s other daughter, ex-wife, and himself. Rainie can’t let Quincy fall to the complicated murder conspiracy. Maybe, just maybe, they can overcome the distance in their hearts. Gift Cards, Books and Masks, Oh My! 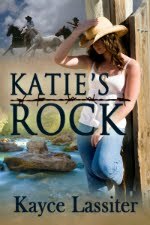 A New Release for Kayce Lassiter. Woo Hoo! Lexi Post Calendars are Here! SUSANA AND THE SCOT by Sabrina York Released! 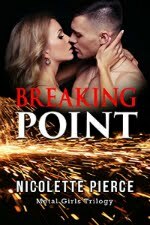 RING IN A COWBOY for New Year's and a Giveaway!